The brainchild of Scottish inventor John Shepherd-Barron, the first ATM (automated teller machine) in the world was opened on June 27, 1967, at a branch of Barclays bank in Enfield, north London. The dawn of contemporary digital banking had arrived revolutionizing the banking business. This year Barclays bank marked the 50th anniversary since the first cash machine appeared by transforming the modern day Automatic Teller Machine (ATM) in London into gold. This reminded me of a Barclay’s advertisement during my childhood of an ATM placed as the head of a robot that would dance to the tune of the customers. The banking industry is one sector that is a pioneer of robotics and artificial intelligence, after all, ATM stands for Automatic Teller Machine. This innovation greatly improved lives by making banking transactions easier. Today the world is getting ready for the fourth industrial revolution and some banks have already introduced robots to assist customers in their branches. The technology is ready and industries like the automotive sector are already making use of robots to help assemble vehicles. Automation is making manufacturing, supply chain and logistics industries faster, smarter and is reducing the risk of error. However, there are many who are concerned whether it will create more jobs or reduce them. There are opportunities that come with artificial intelligence but industry players need to also pay attention to the risks such as cyber security. According to the McKinsey Global Institute, more than 90 percent of jobs will not be fully automatable in the future. Instead robots and humans will work together. The major question lies in whether humans are ready to re-learn and adapt to change. For humans to fully embrace it, it has to solve some of their problems and make their lives easier. Many people want the assurance that these robots are here to assist them and not to replace them. With automation, the skill-set is likely to change and that requires one to update their skills to remain relevant in the market. We have entered a world where we are all students of life. 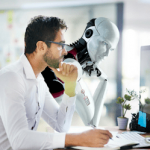 The Business Process Outsourcing Industry could potentially be affected which requires leaders to prioritize on where automation can increase customer satisfaction. This may require re-training of the employees to be able to improve the quality of work using automation as a tool. It’s about the collaboration with humans and machines, as well as the customers. The United Nations Sustainable Development Goal number 9 encourages industry development, innovation and infrastructure advancement which requires the application of the latest technology to make our lives better. 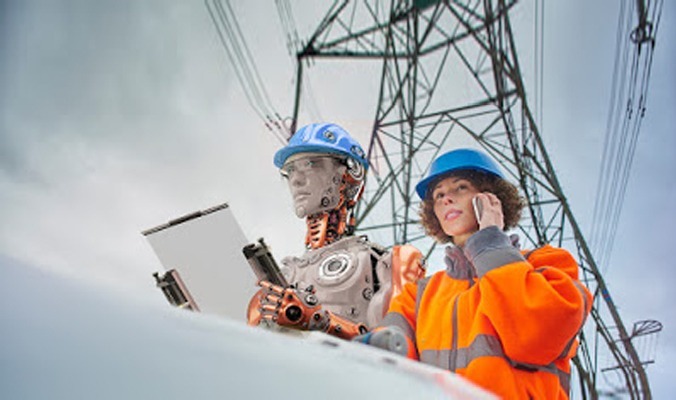 Artificial Intelligence can have a positive impact on society as long as; it makes work easier and generates more meaningful work to solve the problem of unemployment. Great innovators create opportunities and good technologists should contribute in solving problems through innovative solutions.